Are you ready to roll the reels of The Grand glamorous video slot powered by Quickspin? The layout of The Grand video slot is very particular as it has 3, 3, 4, 4, 5, 5 reel grid and 214 possible paying lines combination. 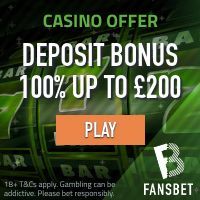 This video slot is packed with game features including Random Wilds, Reel Sync, the Nudge Feature, Free Spins and the Bonus Feature which activate the Grandomizer! While spinning the reels during main game the Nudge, Synch and Random Wilds feature can be randomly activated, The Nudge feature will move up to 3 reels up or down, depending on the best move to create a winning combination. When the random Wild feature is activated, 4 to 8 Wilds are randomly placed on reels 2, 3, 4, 5 or 6. As for the Synch feature, 2 to 6 of the reels that have the same length will be synchronised together, which means all the symbols on the chosen reels will have the same paying symbols which can trigger a great winning combination. 6 Free Spins Symbols -> 15 Free Spins Rounds. During the Free Spins rounds, the Bonus Feature is activated. The Bonus symbols can land on 3rd, 4th of 5th reels. The Bonus Feature will activate the Grandomizer Features which can activate up to 3 of main game features; Nudge, Wilds or Synch through out the Free Spins rounds. Once all features are activated the Bonus Symbol will no longer appear on the grid. The theoretical payout percentage of The Grand video slot is set to 96.58%, and is regarded as a high volatility game. 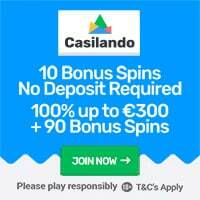 This fantastic video slot which we believe is one of the best slot powered by QuickSpin has a possible win of 2901.5 x bet amount. The Grand video slot was released by QuickSpin on the 12th of March 2019! Featured: Get 20 no deposit extra spins at Dunder!